Most brands have at least two laptop lines. Consumer class and business class. Consumer class laptops are generally junk. Support is usually bad. Safety isn’t a priority (some consumer laptops have been known to catch fire), generally manufacturers experiment with new features on their consumer lines, consumer laptops sometimes ship with malware, or lots of junk or trial software. They’re not as rugged, the left hinge will break after a year or two. Parts are hard to come by so you can’t fix them. The Wifi cards aren’t Intel so can’t connect to every Wireless network. Don’t buy them. Stick with the business class laptops. It is usually better to buy an old used or refurbished business class laptop than a newer model consumer class. Chromebook = More like netbooks that run ChromeOS instead of Linux or Windows… unless all you need is a browser stay away from these. T = Flagship, thinner than P but more powerful than X. Best keyboards are found on the T series. P = Powerful Workstations, High Performance CPUs and GPUs (formerly W). L = Affordable, not as good as T but a step up from E.
I have included Dell XPS and Apple Macbooks for comparison, they tend to be well built machines but I wouldn’t consider them business class. They’re more in the “prosumer” class. I generally don’t recommend them but they may be good options if you you’re not moving them around a lot. If you want OSX Macbooks are obviously going to be the best bet even though you’re not going to get the ruggedness you’d get with a Latitude or ThinkPad. If you’re going to run Windows or Linux I’d recommend a Latitude or ThinkPad. 2nd digit after the first number indicates screen size. The “4” in “7480” indicates a 14 inch screen. 3rd digit indicates the generation, almost matching up with the year. The 8 in 7480 = 2018 model year (Latitude is off by a year). Latitude 7280 – Quality Ultra Portal laptop, thin and light. Rugged and likely to survive a drop from a few feet. 2.8 LBS. 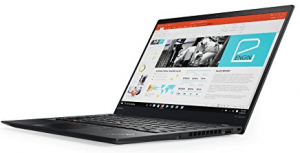 ThinkPad X270 – Ultra Portable Laptop. Great little notebook, runs a little on the thick side (easier to grip) but the advantage is memory isn’t soldered on and has room for a 2.5 inch drive bay. Has two batteries (internal and external so you can swap the external without powering down) which can go up to 25 hours. This is by far the most modular 12.5 inch laptop. 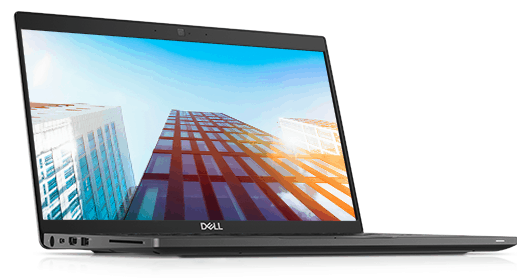 Latitude 5280 – Slightly thicker heavier version of the 7280. Macbook – 12 inch Macbook ultra portable. Used / refurbished options include anything in the Latitude 72xx, Thinkpad x2xx series. X220 and earlier have classic keyboards which many consider superior. 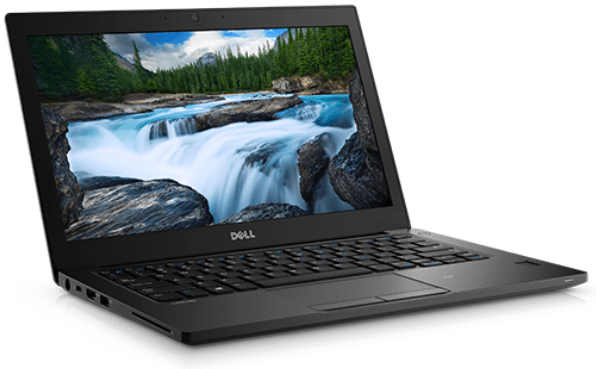 Latitude 7380 – Almost no bezel so it’s the same size as most 12 inch laptops, business version of the very popular Dell XPS, the Latitude version adds a little more durability so I would opt for the Latitude 7380 over the XPS 13. XPX 13 – This Dell is the “prosumer” version of the above, it’s high quality but not as durable. I don’t think it would hold up to being dropped as well as the 7380, but it’s still a good laptop. 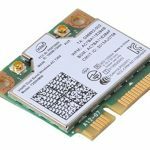 WARNING: Some XPS machines don’t ship with Intel branded wireless cards. Make sure it’s Intel. 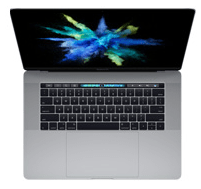 Macbook Pro 13 – Great laptop, newer ones have an annoying touchbar instead of function keys so watch out for that (unless you want it for some reason). Used / refurbished options include older gen Dell XPS or a Latitude 7370. 13.3 is a fairly new category so you probably won’t find too many used laptops with this scrern size. ThinkPad X1 Carbon (5th Gen). A 14 inch screen in the size of a 12 or 13 inch laptop. Very sleek, thin and narrow bezel and quite sturdy. Lightweight, thin, it’s one of the best ultrabooks on the market. Memory cannot be upgraded or replaced so order it with what you need. 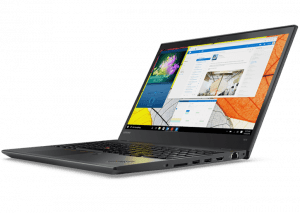 Latitude 7480 – Great high quality business laptop. Memory is upgradable. With this latest model E-port snap in docking support has been dropped so if you want docking you’ll need a USB-C dock. Used/refurbished options: Older generation Thinkpad X1, Latitude 74xx, and ThinkPad T4xxs. 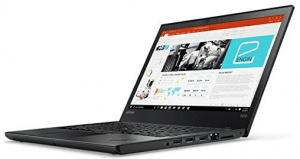 ThinkPad T470 – This is one of the best all around laptops. It’s not too thin that it’s hard to grip, but thin enough to not be bulky. Fantastic keyboard, probably the best on the market. Two batteries, one internal and one external so the external can be swapped out without losing power. With a 6-cell battery (which will cause a bulge) it can get 20 hours battery life, or opt for a 3-cell that’s flush with the laptop. For longevity this laptop is the most modular model in the ThinkPad lineup as far as swapping parts so you should be able to make it last longer if anything breaks. 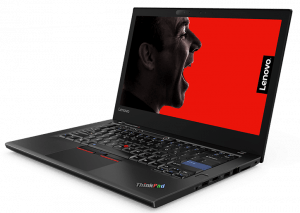 No GPU options for buyers in the U.S.
ThinkPad T470p – Quad Core for heavy CPU and an NVIDIA 940MX GPU making it one of the most powerful notebooks in the 14 inch category. Oddly it does not have a USB-C port. Latitude 5480 – A little thicker than the 7480, Can be configured with Nvidia 930MX GPU. Latest generation drops the E-docking port. I use an older version of this laptop at work, the E5470, and at home I use a E5450 with NVIDIA. Both have been great computers, and the E-Dock (which is now discontinued) is very robust. Can be configured with quad core processors. Used/refurbished options are the ThinkPad T4xx and ThinkPad T4xxp, Dell E64xx, Dell E54xx, Dell 54xx. Precision 5520 – This is one of the few precisions I would consider more prosumer than business class. It’s a re-branded Dell XPS 15, the screen has almost no bezel and the laptop is the same size as many 14 inch laptops. I don’t think it would hold up to make abuse because of how thin it is. However, for a mostly stationary laptop it’s fantastic. Can be equipped with Xeon E3. Note that some of these models don’t ship with Intel Wireless cards which may cause problems. Make sure it’s Intel. 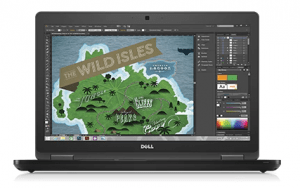 XPS 15 – Same thing as the above. Note that some XPS models are not shipping with Intel Wireless cards which may cause connection problems. 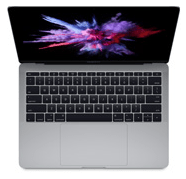 Macbook Pro 15 – Great laptop, newer ones may have a touchbar which I find annoying but can be configured with a normal function key row. Used / Refurbished options include the ThinkPad P5x series, older gen Dell XPS 15, Precision 5510. This is a newer category so there won’t be as many older models here. 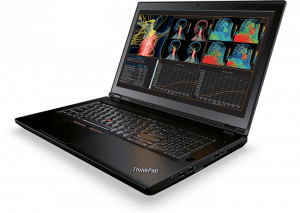 ThinkPad T570 – Great business laptop with a 15 inch screen. 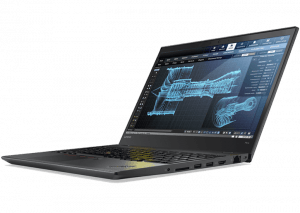 ThinkPad P51 – Can be equipped with NVIDIA Quadro GPU, and Xeon E3. Up to 64GB memory. Precision 3520 – Can be equipped with Nvidia Quadro GPU, and Xeon E3. One thing to look out for is the keyboard layout, some 15 inch models have the keyboard offset to the left to make room for a numpad. Some people would rather have the numpad and some would rather have a centered keyboard. 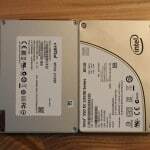 Used / Reburbised Models are Precision 75xx, Precision 35xx, and Dell E65xx, ThinkPad P5x, ThinkPad T5xx, ThinkPad W5xx. Used / Refurbished – Precision 77xx, P7x, ThinkPad W7xx, Macbook Pro 17 inch. There are some risks buying used. USB firmware hacks, malware, etc. However, it’s a great way to save money and some sellers provide a 1-year warranty. Most businesses keep ThinkPads and Latitudes for 3-5 years then sell them so you can save a significant amount of money just staying 3 to 5 years behind. Generally you want to buy the laptop from the guy that always kept it docked so it’s still in great condition. Keep in mind that the reason businesses cycle through laptops is the productivity lost due to running slower and fixing failing components is greater than the cost of just buying a new laptop proactively. Just something to keep in mind if you value your time. It’s probably better to get a used / refurbished ThinkPad or Latitude than it is to buy a new consumer laptop. For newer refurbished items the Dell Outlet, Lenovo Outlet, and the Refurbished Mac store are good places to look. One of the best places to pick up old refurbished ThinkPads may be WalMart’s website. Also there are plenty of refurbished and used laptops on eBay and sometimes they can be found on Amazon as well. If you are not comfortable installing an OS make sure it comes with a fresh install of Windows and the seller is highly rated and offer returns. Many sellers also offer a warranty. 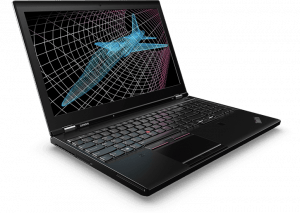 For used laptops the ThinkPad T, X, P, and W series will be a higher quality than the L and E. Latitude 5000, 6000, and 7000 will be higher quality than the 3000 series. To roughly find the age of a computer consider the current models for ThinkPad are T470, the middle 7 roughly means it’s a 2017 notebook. Same for the Latitude 5480, the 8 means it’s roughly a 2017 year notebook (guess Latitude is +1 on the year). So if you’re looking around on eBay know that a T440 or Latitude E5440 is roughly a 2013-2014 notebook. The years don’t quite line up perfectly but gives you a general idea. Another indicator to look at for age is the generation of Intel processor used (see CPU section below). ThinkPad Computrace warning for used ThinkPads. Some ThinkPads have a Computrace feature which allows the owner to track down or remotely disable a laptop if lost or stolen. If enabled only the owner (or one of the previous owners who enabled it) can turn it off. You’ll want to make sure that is turned off before buying a used laptop or if you get one with it enabled ask the owner to turn it off and if they’re not able return it for a refund. If you can’t track the previous owner you can call Computrace and they can attempt to contact the owner for you. Brand. Dell vs Lenovo. 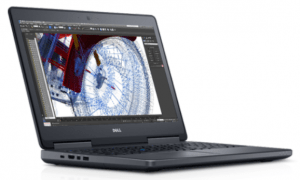 Dell Latitude has better support, service, and screens. 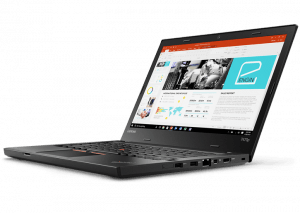 Lenovo laptops have better keyboards, build quality, and durability. Both are pretty similar and both brands offer a comparable product in almost every size/model. Docking Support. Many laptops have the ability to dock into a “docking station”. Dell and Lenovo have proprietary docking connectors and docks. These are great solutions if you’re often working in an office or home. At my house and office I have a docking station hooked up to dual monitors, ethernet, keyboard and mouse. It’s convenient to dock in and have a full desktop experience (having multiple screens increases productivity) then undock when I’m on the go. Not all laptops support docking, but if it’s something you’re interested in be sure to check for that capability. Customer Support. When issues occur I’ve found Dell to have the best support, usually after a 30 minute phone call they’ll have a technician scheduled to come out the next day. Lenovo is 2nd, you’ll get the same result but usually a longer phone call. In my experience when a Macbook breaks you’re going to be out of commission for a week or two while you send it off for repair. Warranty. Basic vs NBD (Next Business Day) Onsite. Basic warranty usually means a part will get mailed to you, or you’ll ship your laptop and wait a few weeks for it to come back. When buying new, you have the option to get a more advanced warranty. If you are in situations where a broken computer can be costly then pay extra to get NBD onsite support. A technician will meet you wherever you are, at your house, conference, etc. the next business day with a spare part if something needs to be replaced. For road warriors who can’t have downtime this is a must. On the other hand, if you aren’t traveling consider the cost of NBD vs just having an extra laptop on hand (perhaps your old laptop) you could use while your main one is under repair. I generally purchase the cheapest warranty (1 year basic) because I have a spare and if my computer breaks early I’ll just buy a new one. Over the long run I think this is cheaper.. but if I was a frequent traveler I’d probably opt for a 3 or 4 year NBD warranty. Ultrabook vs Mobile Workstation. Ultrabooks are designed to be as thin and light as possible, often because of the smaller size heat can’t be dissipated as quickly so the CPU can’t run at a sustained load for long periods of time without throttling, or a weaker CPU is used. Most people won’t notice throttling and this is becoming less of an issue as CPUs become more efficient. The other sacrifice ultrabooks make is shorter key travel so they don’t have a great typing experience, and fewer ports, slots, and extras like GPUs. Sometimes components like RAM are soldered on and batteries may not be replaceable. Mobile Workstations can usually be outfitted with more battery, more processing power, more key travel giving them a fantastic typing experience, and are generally easy to service They tend to be heavier, but generally more durable and more likely to be found with more ports, not throttle under heavy load, can get them with a GPU, and often have trappable batteries. Ways to save money. So, in most cases there are several base configurations which can be customized. I have found in general that Memory and Hard drives are more expensive upgraded through Dell or ThinkPad’s store. Often it’s cheaper to buy a base configuration unit with the CPU you want and then buy your own memory and hard drive. For most people swapping out the hard drive will be difficult because the OS will have to be reloaded so may not be worth it. Sometimes memory is not replaceable so check the laptop your buying to see if it is. Generally this is possible on the workstations and a hit and miss on the ultrabooks. 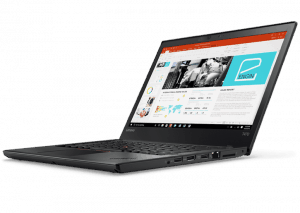 If buying a ThinkPad read the ThinkPad Introduction page which has links to Perks discounts. Wireless Card. Always get Intel. If it’s not Intel branded, don’t buy the laptop. Touchscreen. I don’t like touchscren but some people do. Usually both options are available. Glossy or Matte Screen. I much prefer Matte, I don’t want to see my own reflection in the screen. Usually both options are available. Ono of the most popular screen sizes (and my favorite) is 14.4″, it allows for a full-size keyboard (without tenkey) and seems to me to be the right balance between portability and using it like a workstation (faster CPUs, optional GPUs, more key travel on the keys. 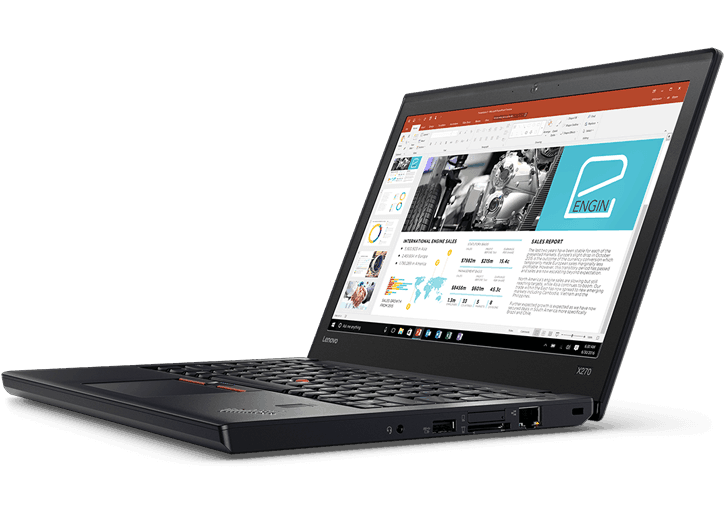 The ThinkPad T470 and Latitude 5480 are great workstations in this class, and the Latitude 7480 and ThinkPad X1 Carbon (which is lighter than a lot of 13.3 and 12.5 inch laptops) are great ultraboooks. For frequent travelers going to 13.3″ or 12.5″ may be better. If you need a bigger screen or a ten-key then a 15.6″ or 17″ is the way to go. Dell is going to have better quality screens for brightness and color than Thinkpads in general. I think 1920×1080 (FHD) screen resolution is pretty decent. You may want to avoid higher resolutions than that like that because many applications can’t scale properly and become difficult to read. Apple Laptops have a 16:10 aspect ratio instead of a 16:9. 16:9 is the aspect ratio that movies are in, but in most cases the 16:10 (extra vertical space) would be preferable. Some newer laptops are coming out with aspect ratios with more vertical space such as 3:2 which is a good compromise between 4:3 and 16:9 but they haven’t made it to mainstream yet. Keyboard. The best keyboards will be on the ThinkPads, and the best of those will be on the Thinkpad T series, and the best one on the market today is the ThinkPad 25 but at a high cost premium. If you use a computer to consume media this won’t matter. If you’re going to be docked in most of the time it’s not a big deal since you’ll use an external keyboard. If you type a lot on your laptop the ThinkPads will be better than Dells or Apples. Keyboard Lighting: Most laptops have a backlit option, if you want it make sure it’s there. 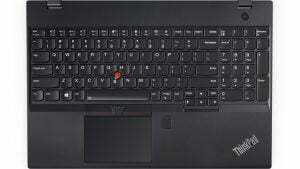 Some older ThinkPads have a “ThinkLight” which is a light on the top of the screen that shines down on the keyboard. CPU: Stick to the Intel Core i5 or i7 CPUs, whichever is cheapest. For the most part there is very little difference between an i5 and i7, in smaller computers the i5 will perform as well or better than an i7 because it puts out less heat so doesn’t have to throttle as much. AMD processors have been behind Intel in Laptops, would consider them 1 or 2 generations behind Intel although they have started to close the gap with the Rzyen processors they’re still a year behind Intel. I would consider a newer AMD CPU if the price was right but for anything older than 7th gen AMD stick to Intel. In general, since the i series most CPU generational changes are not that substantial, maybe adding 10-20% boost in performance between each generation so the need to buy a new computer often to get a faster CPU is not particularly great these days. Most of the gains are around power consumption and battery life. However, the 8th gen CPUs which should be widely available next year (2018) offer about a 30-40% improvement over 7th gen because of an increase in core count. You can tell which generation you’re buying by looking at the first number after the “i5” or “i7” E.g. a Core i5-7600 is a 7th Gen. The Core i5-8600 is 8th Gen.
Memory: 8GB should be your absolute minimum. I always get 16GB memory, but I try to buy a laptop with the smallest amount of memory possible and buy extra memory from Amazon. 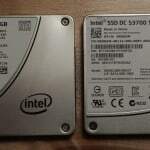 Hard drive: The single best thing you can do for computer performance is to get an SSD. You do need to watch out for size. NVMe SSDs tend to be faster. Both will well outperform a normal hard drive. SSDs are smaller so make sure you get an adequate size. Minimum of 256GB for most people. If you are my mother in law maybe a terabyte minimum. Graphics Card / GPU: Most laptops are not great for gaming. If you are buying a dedicated gaming laptop most of my recommendations are not ideal and you many want to look at other options. But if you do play video games you should consider getting a laptop with an AMD or NVIDIA card in it, you’ll be better off than without it. You’re not going to get the performance from a laptop that you would out of a desktop gaming computer, but you can get pretty far. Having a GPU usually cuts into battery life but it’s not as bad as it used to be… most laptops can shutdown the discrete video card when not in use and use the built in Intel HD graphics on the CPU which is more battery friendly. Another option is to get a laptop without a GPU, but use an eGPU enclosure and buy a desktop GPU to put in it… it will connect to your computer via Thunderbolt port. Batteries. There are usually a few options for batteries. Many laptops don’t have removable batteries. For laptops with removable batteries smaller ones tend to sit flush with the laptop. Some laptops also offer larger battery packs (and even slices) that make the laptop bulkier but can provide more than 20 hours of battery life. Some laptops can be adjusted to make the battery last longer by reducing the charge cycles. E.g. set your laptop to not start charging the battery until it drops below 80% instead of 95%, and having it charge to only 90% capacity may improve the longevity of the battery quite a bit at the cost of perhaps an hour of battery life of run-time. DVD Drives. It’s hard to find newer laptops with DVD drives, but some are available, especially if buying older used models. Generally you can buy a blu-ray laptop drive and swap it out if you want to watch blu-way video. Ports. Consider what ports you will want on your laptop. Is Ethernet important? How many USB ports do you need? What about USB-C? What about a docking port? If you present frequently maybe you want a laptop with a VGA port and an HDMI port? What about SD Card readers? Headphone jack? Do you have to use a Smart Card to access certain systems? In most cases I’ve found I use ports less frequently than I think I would–for me an SD Card reader, Ethernet and a couple USB ports is all I need. Webcam, Microphone, and Speakers. If you care about these things google the laptop model you’re looking at plus the word “review” and read a few reviews to see if you can get a sense of the microphone, webcam, and speaker quality. Some laptops have the webcams placed at the bottom of the screen instead of the top which results in a weird angle when on using video calls. Also, some laptops don’t have very good speakers so check reviews to see if they’re good, my Dell Latitude E5450’s speaker is so weak I can’t really hear the audio in movies 3 feet away unless there’s absolutely no other noise. When do new laptop models get released? It depends, I usually see new Latitudes and ThinkPads announced and released between January and April. Often new models are announced at electronic shows. But it depends on whether Intel and all the other suppliers are on schedule so things often get shifted around quite a bit. Are there other good laptops than the ones you mentioned? Yes there are. There are other decent brands, some of the consumer laptops are fantastic. I don’t know every possible laptop out there at every given moment. 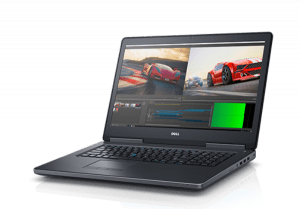 This guide is meant to be more of a generic guide looking at good laptop lines over time, with the availability of NBD support if needed, and docking solutions across a wide range of options from workstations with GPUs to ultrabooks. For the most part those come from ThinkPad and Dell, but that doesn’t mean a gem isn’t produced under other brands from time to time. IMHO, though, you’ve not actually provided any sort of “recommendation” at all – instead, you’ve given what appears to be a lot of background and opinion from your own personal experience with two particular vendors. And left a LOT of ground uncovered. I am similarly asked the sort of things that you are because of my own background. My approach to answer like this is entirely different. First, I start with talking with the person about HOW they’re going to use the device. Word processing? Internet browsing? Email? Photo editing? Video production? Understanding the type of use ties directly to the specific applications. That correlates to operating system and hardware requirements (horsepower). The next thing I move on to is WHERE they’re going to use the device. At home on a computer desk only? Various rooms in the house? Out on the deck? The local coffee shop? College? At the lake while the kids are swimming? Once it’s understood where the device will be used, that can be linked up with hardware and software requirements to understand the various options of desktop, laptop, “convertible”, or even tablet. I also try to understand the potential lifespan of the device. You only need something to get you through the next 18-24 months? That’s likely a very different choice from something that you need to last you for 4-6 years. HP, Compaq, Sony, ASUS, Toshiba, Panasonic / Toughbook, Acer, Samsung… You missed far more brands than you included. There was only a cursory mention of Apple devices and I didn’t see Chromebooks mentioned at all. There was no discussion about the current version of Windows being very intrusive in terms of giving a significant amount of control over to Microsoft as to what updates you get, when you get them, and whether or not you can refuse updates. I run Windows on one machine because I -HAVE- to (I use Visio). And I hate how MS forces me to take various updates to the OS and I can not block them under any circumstances. All of my home servers run Linux, and my actual computing platforms where I do 99% of my work are Mac machines. My personal experience with Lenovo is that they’re “good machines”. They work, and are extremely predictable in what they’ll do and how (which is a very good thing). My personal experience with Dell is that they are horrid and their tech support is even worse. HP gets lumped into a similar category. What really frustrates me with most vendors is their extremely poor implementation of touchpads. Apple does it best from what I’ve used, Dell has made an incredibly poor attempt to copy what Apple has done and left the machine needing to use an external mouse it’s so bad, HP touchpads are prone to erroneous movements when your hand isn’t even touching the pad, and Lenovo is utilitarian but at least it’s predictable. The plain and simple truth is that a computer (laptop or desktop) is a very personal decision and has to match the needs and abilities of the user. While I would have loved to see my father switch from a Windows desktop to an Apple iPad two years ago, it just wasn’t going to happen – the iPad simply did not fit his needs (too small of a screen) or his abilities (too many years spent learning Windows to try and get him to learn something entirely new again). The only thing that fit his use and his budget was a Dell laptop with a 17″ screen. And, as much as it never would have been something I would have used for more than five minutes, it works for him. And, based on how I’ve set it up, he’s had a couple of fairly trouble-free years of use with it. So, for him, it works. Hi, Mark. Good feedback, and those are good questions to ask when shopping for a laptop, I like your approach of asking specific questions. That’s difficult to do in a blog post format. Instead I opted to list a variety of laptops designed for various needs and leave it up to the reader to find the one that suits their needs best… I actually had several specific people in mind as I wrote the post with a variety of budgets and requirements… but you’re right in that it’s not comprehensive. If they don’t like what’s on the list then they’re free to buy something else. I expect most savvy buyers will supplement this guide with others. I try to keep these posts as simple as possible so I had to leave a lot uncovered or this would have been a book! I had thought about including Windows 10 privacy issues as well as discussing potential backdoors in Intel’s newer CPUs, but I decided those were out of scope for this post’s topic. As for the brand selection, that was my personal decision. I opted for better built lines over flashy laptops that are more likely to break, it may be biased, but this is my blog after all, so it’s style will reflect my preference and experience instead of being entirely neutral. |:-). The brand selection is roughly based on the following: I made the requirement that the brands had to offer NBD (in case it’s needed) and offer a little more ruggedness to handle being used as …well, a laptop. If it can’t survive a 2 foot drop it’s probably not a good option. But then I made a half exception for Apple because of Apple’s unique OS. For the PC side I stuck to the most popular brands among businesses/professionals and Linux users (reason I picked Linux users is I figured they are more savvy and will pick better laptops…which can still run Windows obviously). Lenovo and Dell have more Linux laptop users than all the other brands combined. If I went to the top 4 it would have been Lenovo, Dell, ASUS, and HP per https://www.phoronix.com/scan.php?page=article&item=2017-laptop-survey&num=2. ASUS doesn’t offer NBD support and their laptops don’t seem as rugged. HP could have been included but I don’t have enough first or second hand experience with HP’s quality and service to know if their laptops are good and for their market share they had a surprisingly low number of Linux users. Not to say Dell or Lenovo are perfect. 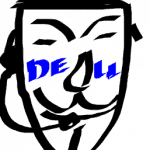 I’ve had problems with Dell https://b3n.org/dell-hacked-watch-out-for-social-engineering-scams/ and Lenovo had the SuperFish issue (although the latter was limited to the consumer lines). So far every laptop I posted is the latest model and was available for purchase at the time of posting (but maybe obsolete by tomorrow). |:-) The business models tend to refresh once a year with minor CPU updates throughout the year so it’s easier to stay on top of them. Out of curiosity, what Dell model touchpads did you not like? I used to use a Macbook Pro, and have no problems with the Latitude E7450 and E7470 touchpads (I may not use all the gestures available to OSX though). The only thing I find annoying is newer laptops have the default configuration so that two finger scrolling up goes down and scrolling down goes up so I always have to reverse it. Hey Ben, great post. As an “IT guy” I have had hands on most of those, thought I would mention 1 more unit that has been great, the HP Elitebook Folio G line has been exceptional, it is very easy to work on, ie replacing battery, drives, RAM, very thin/light, good speed and battery life, and I find to have better ergonomics than a Dell Latitude. I am on the road a lot, and I picked up a nearly untouched Folio 1020 G1 for $280, 12.5″ @ 2560×1440, 8gb RAM, 256 SSD, FANLESS/sealed, solid aluminum – my favorite feature. It was still under warranty, and I did have to send it in for a wireless card issue, turn around was 3 days, phone call took 10 minutes. They also offer a NBD option. The Folio 1040 14″ is a great middle of the road model, super thin/light, does have a fan. The only thing I might consider above these is the X1 Carbon. That’s great info about HP John! Thank you.